1stAmender - Ford Announces 2020 Bronco Bolt, And It’s Electric! Ending months of speculation, Ford today announced the return of the much beloved Bronco in 2020. To the surprise of many, the Bronco Bolt will have a hybrid diesel-electric engine that was developed in collaboration with Tesla founder Elon Musk. 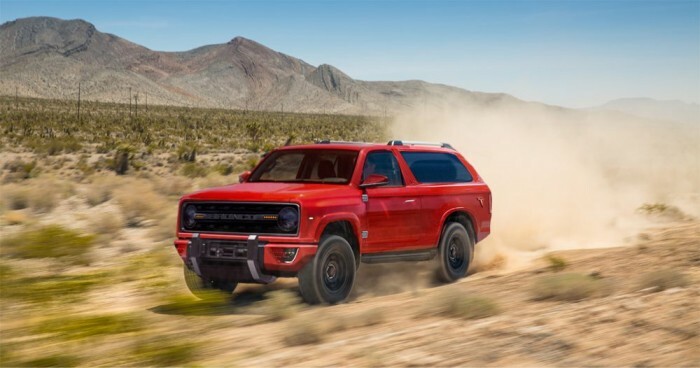 The 2020 Bronco Bolt will leave the classic Bronco in the dust, with fuel efficiency doubling that of a Toyota Prius thanks to the combined expertise of Ford and Tesla engineers. Juiced by a first-of-its kind diesel-electric engine with massive battery storage that can be charged from a home outlet or even solar panels, the 4,800-pound off-road truck with record-setting MPG’s can leap from zero to 60 in just 5.8 seconds on the pavement, making one of the fastest production trucks on the market. While the Bronco Bolt excels on pavement thanks to computer-controlled all wheel drive, collision avoidance systems, and fuel consumption optimization software that squeezes every drop of performance from petrol in the tank, where it really shines is over dirt, rock, and mud, touts the company. The Bolt departs even further from current stock SUV’s and trucks thanks to a manually operated hydraulic “Lifter” suspension, straight from the factory. While the truck rolls with just four inches clearance while rolling city streets, it lifts a full eight inches with the touch of a button, giving it a healthy foot of clearance thanks to “pivoting axels” that rock upward with the body. “Of course, the suspension can be synced with the stereo to make the car hop in time with the beats playing on the standard 800-watt Bose stereo system,” Musk said, gesturing to the crowd with an up-and-down motion while dancing to “My Humps” by the Black Eyed Peas. 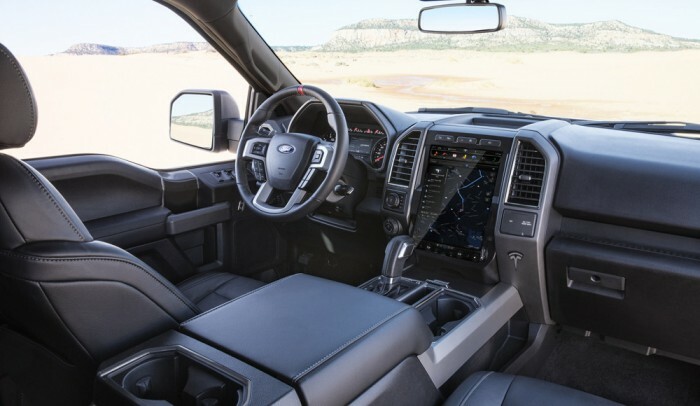 The bouncing “Dance Sync” feature can be turned on, or off, for off-road use, said Ford product development team chief Fred Cadushi. “We built it with both slow-speed rock-crawling and faster 4×4 applications in mind,” Cadushi said. Off-road capabilities are enhanced by a locking rear differential, computer-automated “crawl” mode that limits wheel slip, and power winch, included standard on each Bronco Bolt. The Sweeper Package adds a bull-dozer like blade, which can sweep over-sized boulders from the path or clear small trees. If this isn’t enough, an upgraded “Water-Crosser” package includes a water-tight “canoe” bottom, external prop, and extending rudder, used to float the truck across rivers and lakes at up to 4 knots. While still unconfirmed, Musk hinted at a collaboration between NASA and his team at SpaceX which many speculate will lead to the world’s first flying SUV.